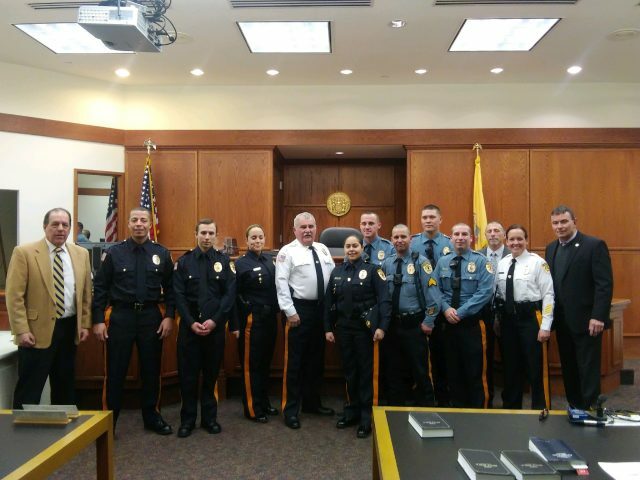 New recruits and officers pose for a group photo after a Sheriff's Office swearing-in ceremony Friday. At the far left is Warden Donald Lombardo. In the middle in white is Sheriff Bob Nolan and to the far right is Undersheriff Frank Sippel. 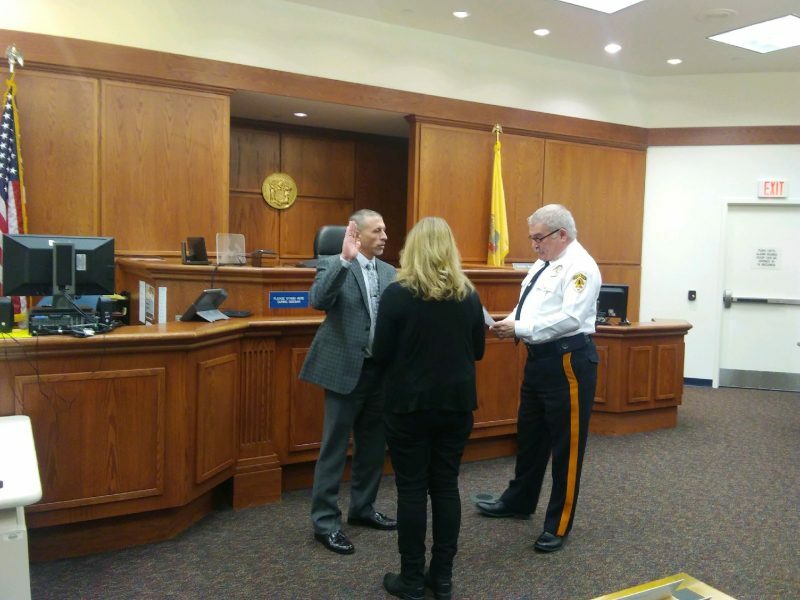 At 58 years old, Mike Siderio, of Rio Grande, is sworn in as an investigator with the Sheriff’s Office. His wife, Cindi, holds the Bible as Sheriff Bob Nolan conducts the ceremony. 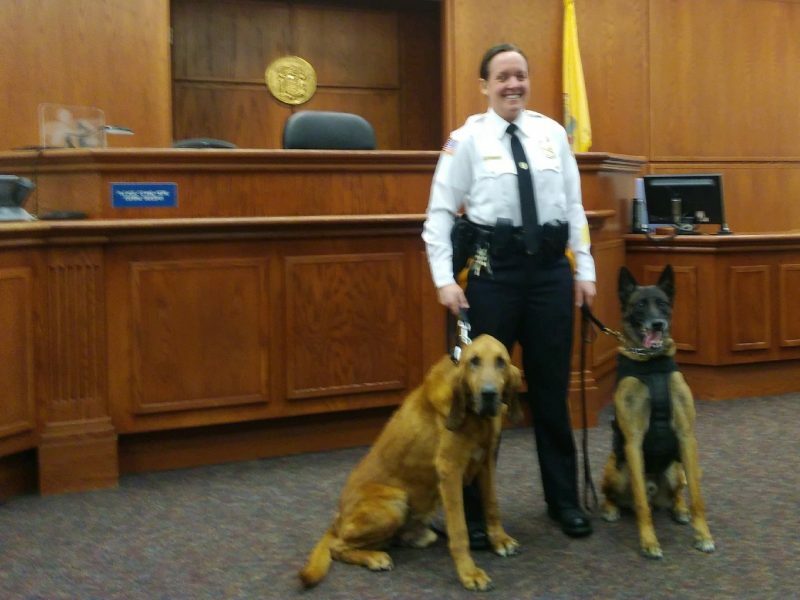 Lt. Beth Perednas with her retired K-9s Hank and Jax. 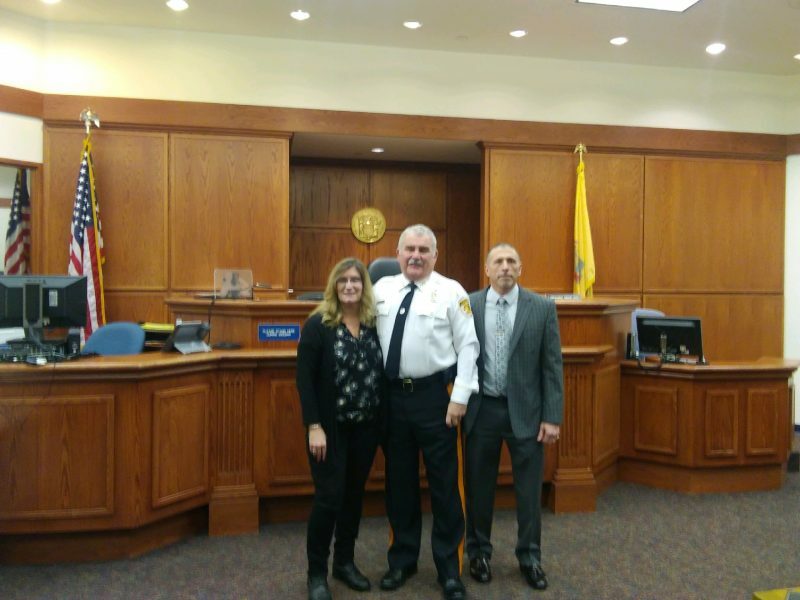 Sheriff Bob Nolan with Cindi and Mike Siderio. 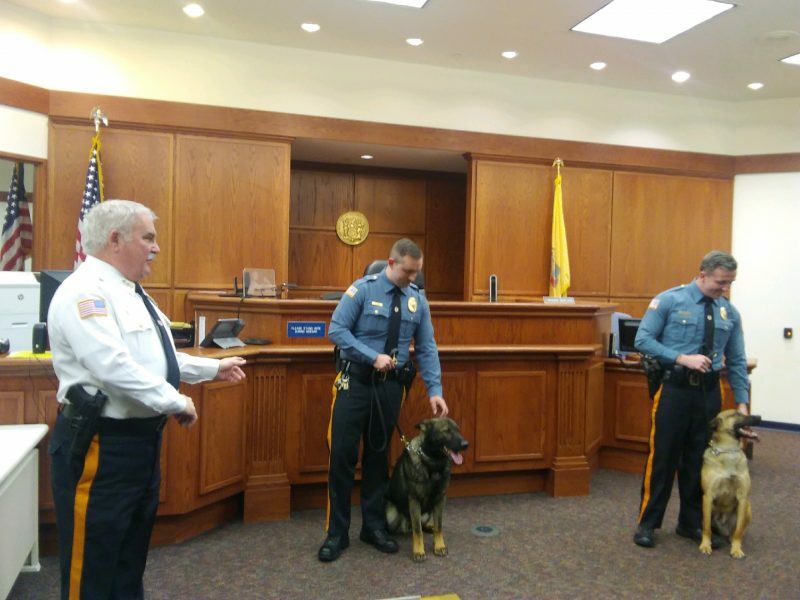 Sheriff Bob Nolan introduces Officer Connor Hughes with K-9 Ares and Officer Dustin Phillips with K-9 Frankie.